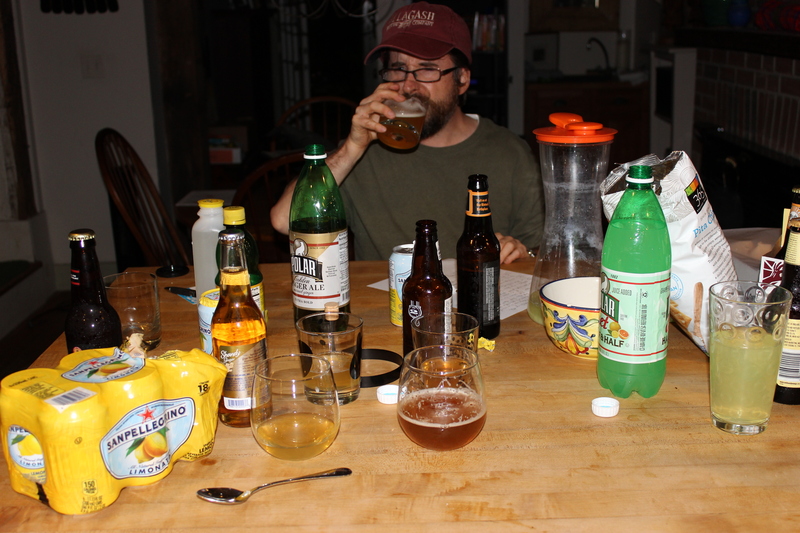 In preparation for my column about shandies, I decided to try and blend my own, using three Connecticut beers and a variety of lemon-based additives. Who will the winner be? Will it be City Steam’s Innocence IPA mixed with pure lemon juice? Or Two Roads’ Worker’s Comp saison and San Pellegrino-Linonata? 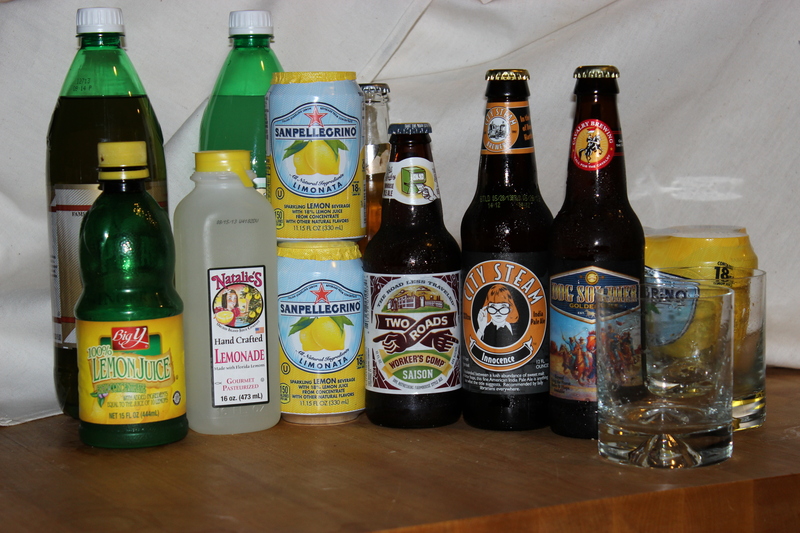 Or how about Cavalry’s Dog Soldier and Sparkling ICE Lemonade carbonated water? This entry was posted in Beer Snob and tagged Cavalry Brewing, City Steam Brewing, Two Roads Brewing. Bookmark the permalink.